Alfe is a boy from Northampton. In September 2009 he was diagnosed with B cell Non-Hodgkin’s Lymphoma and spent the next 8 months receiving chemotherapy to treat the cancerous tumour. Alfe had always been an energetic child. At the end of the summer holidays we began to notice that he was tiring easily, wanted to sleep more often and had gone off food. He had also randomly woken in the night crying because of pains in his legs. Concerned that he wasn’t well we took him to the Dr’s who diagnosed a viral infection. During the next few days Alfe’s symptoms grew progressively worse, we noticed a vein protruding from his chest and he began to make a clicking sound when he breathed. After returning to the Dr’s, he was sent directly to hospital where tests were carried out and his parents were told to be prepared for something like Leukaemia. The next day Alfe was transferred to Birmingham Children’s hospital where we were told he had B Cell Non Hodgkins Lymphoma and would need to start chemotherapy. 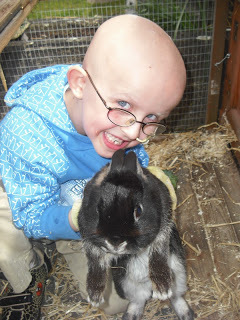 As the tumour was very aggressive it began squashing Alfe’s lungs and distending his stomach. 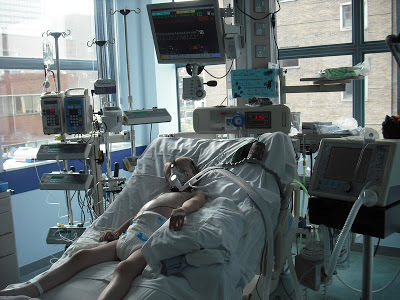 He had to be on oxygen to support his breathing and morphine to help manage the pain. By Friday Alfe was moved to Intensive care where he was ventaliated. It was during this time that we didn’t know if we would even be bringing Alfe home. Thankfully the following Thursday Alfe was allowed to join the main Oncology ward and began making friends with children who also had forms of cancer. Those friends became and remain like our extended family now. From September 2009, Alfe spent a lot of time in hospital due to infections because of low or no immunity, one of the side effects of chemotherapy. In December 2009 Alfe got an infection in his Hickman line, (a special line inserted into his chest for chemotherapy to be administered) and on Christmas eve went down to theatre to have the line removed. At midnight a drowsy Alfe was awoken by Santa delivering presents to children on the ward. Although we weren’t able to spend Christmas day at home, getting a visit from Santa really lifted his spirits. A year on Alfe was in a position, after going into remission in July 2010, to help other children who are sick. Alfe began by designing 2 Christmas cards and one of his friends designed another two to sell in a pack and raise money to buy gifts for children who were spending Christmas in Northampton General Hospital and for two of his friends who have relapsed with Leukaemia. He sold nearly 300 packs and raised around £400. With the support of Kingsthorpe ASDA, Alfe was able to sell his Christmas cards during a weekend in December and organised a toy appeal at the shop. He then delivered the toys to the children’s wards at the hospital.